First rugby of 2019! Happy New Year everyone. Hope Santa was kind and the festivities didn’t leave you too heavy and hungover for the year’s first sporting activity. ickledot’s 2019 debut took place at the home of Bradford Salem for their encounter with Selby. 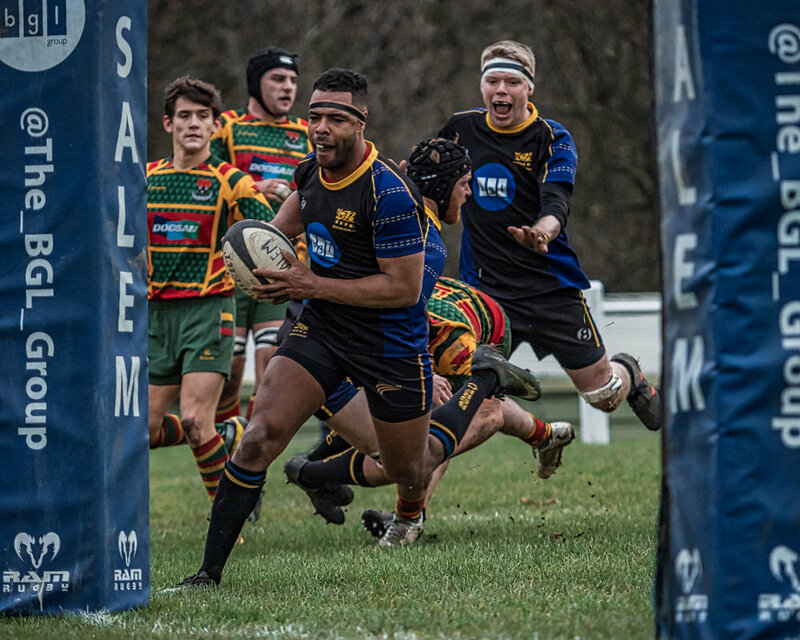 After a number of years photographing rugby it might come as a surprise that this was the first time I’d photographed Salem at home, despite it being only twenty minutes drive from ickledot HQ. I do recall trying three or so seasons ago when a pre-season friendly was cancelled and I have seen Salem on the road but never hosting. Though I’ve never photographed Selby’s first team playing at home either, I do recall an epic national semi-final for their Colts back in 2016. I’m sure at least one of their players from that day is still playing for the club. Judging by their lower-mid-table positions, the first half of the season has not been easy for either Salem or Selby but at least their close league proximity pointed to a competitive match. And so it was, but not for the first forty minutes. They most certainly belonged to Salem, who ran in no fewer than three tries, building up a healthy lead by the end of the half. Quite reasonably at the time, I opted to switch ends in order to capture yet more home scores in the second forty. By the time Salem did score another try it proved to be decisive, coming towards the end of the game. In the intervening minutes, Selby clawed their way back into contention, slowly eating away at their hosts’ lead. Their efforts were ultimately fruitless, a last minute try only bringing them within three points of Salem, for whom the final whistle came as a tremendous relief. Overall a great match for which both teams should be congratulated. You can see more pictures of the encounter over in the ickledot shop.